If you got engaged over the festive period and have a wedding to plan for, then at some point, your thoughts are going to turn to shoes. While I work in fashion and have a love for some ridiculously expensive shoes, when it comes to your wedding, you don't want to spend a fortune. Think about it: Sure, you might like the idea of having a super-fancy designer pair to wear for your wedding, but speaking from experience, I can tell you they will get ruined from the all-day wear. Also, especially if you're wearing a long dress, you won't have them on show all day, meaning no one is really looking at them. In fact, I'd suggest that you have a look on the high street. Not only will you be able to spend this money elsewhere, but you'll still look just as incredible but you can be smug knowing you've been sensible and chic (p.s. high-street wedding dresses also keep getting better and better). 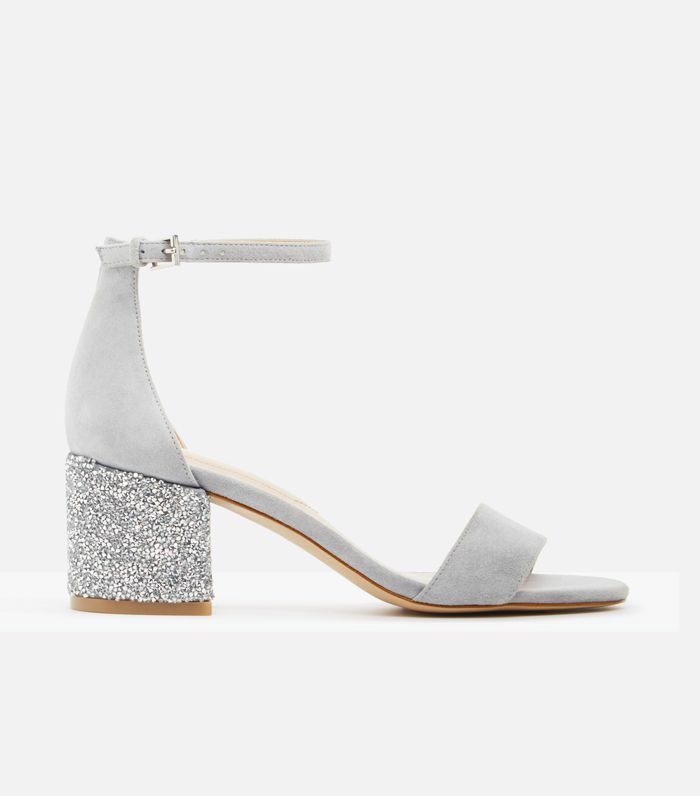 Keep scrolling for the best high-street bridal shoes. Low heels are ideal for dancing. These are in the sale too. Another low pair of heels to ensure your feet don't kill you at the end of the day. Uterqüe has an incredible sale on right now, with plenty of shoes and sizes available. If you're into the monochrome look on your wedding day, this slinky pair might just be what you're after. For those who want a boost. Quick—before these all sell out (they've been incredibly popular). You don't have to go for embellished heels, you know? Metallic, low heels. The ideal bridal shoes, if you ask me. Looking for more wardrobe options for your big day? See the best high-street wedding dresses that you will love even if you're not on a budget.